The Looking Away, the second full-length release from the British trio, Animal Kingdom, is a strong follow-up to their highly praised debut album, Signs and Wonders. It starts off solid with a one-two punch of social commentary in “The Wave” and “Get Away With It.” Despite a generally unaggressive style, these are very angry songs directed at big business and the corporate swine that have wreaked havoc on the world’s economy. Some listeners may be too busy dancing to process the underlying message and it’s that contrast that makes these songs all the more interesting. Of course, things don’t stay this tense throughout the entire album. I wouldn’t exactly say things lighten up, but there is a nice balance of the electro-pop rock stuff you can move your feet to and the dream-like softer tunes. 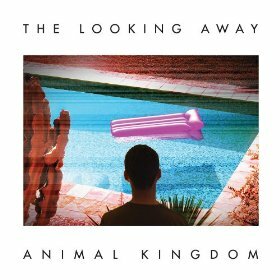 Far from a perfect album, The Looking Away shows a very nice, mature progression for Animal Kingdom that they will no doubt expand upon on future releases. So basically what I’m saying is, this is a good album, but their best is yet to come. “The Wave” and “Get Away With It” are easily my two favorite tracks, but other gems on the album were “Strange Attractor,” “Straw Man” and “The Art of Tuning Out.” Fans of such heavy hitters like Radiohead, Coldplay and Air should have no problems enjoying this album. It manages to co-exist in their musical realm without being a clone of their material.